Spring is here which means wedding season is around the corner! 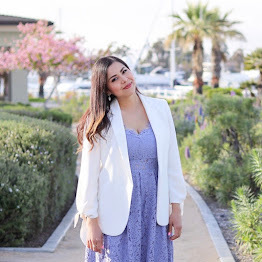 I don't want to limit this look to just weddings because I also think this would be a perfect outfit for an elegant bridal shower, baby shower, or brunch (like they have here in San Diego at The Westgate hotel). This dress specifically has me like that emoji with hearts as eyes! The lace high neckline feels so delicate and the dress feels luxe that it's a great way to show up and look gorgeous at whatever celebrating you need to attend. that dress is so gorgeous! xO! Lovely dress and very nice pictures. This dress is gorgeous and looks perfect on you! I love that you paired it with the neutral handbag and rose gold pumps! You look absolutely stunning! 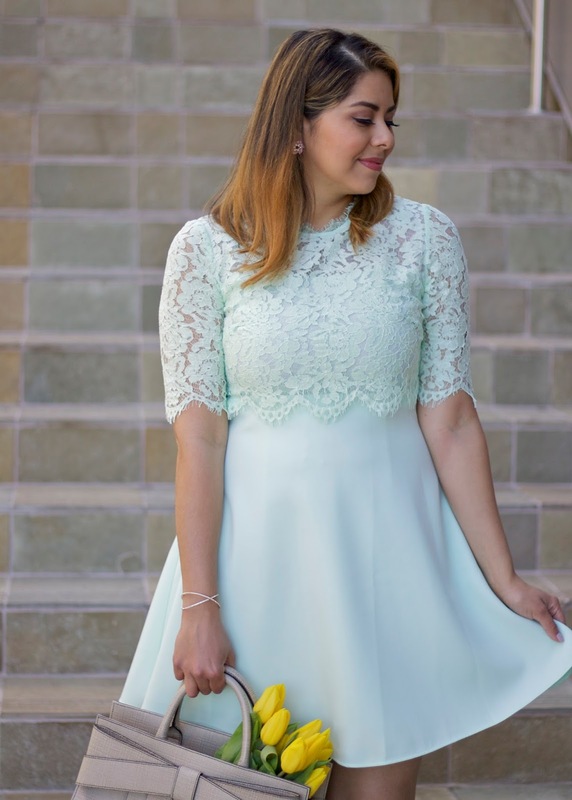 Love everything about this whole outfit - from the pretty pastel colors to the details. Such a gorgeous look! So Lovely! Beautiful color on you.